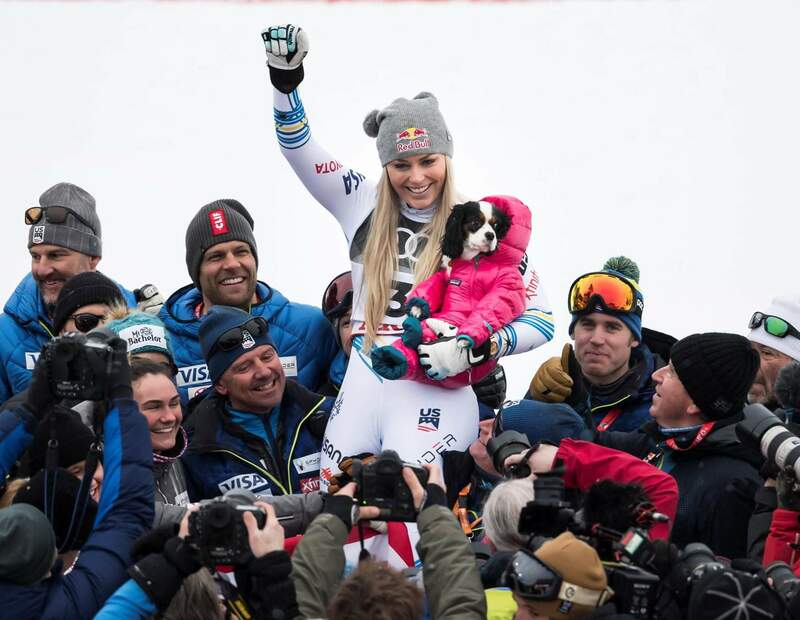 Lindsey Vonn of the United States celebrates with the dog Lucy after the flower ceremony of the women downhill race on Sunday at the 2019 FIS Alpine Skiing World Championships in Are, Sweden. United States’ Lindsey Vonn reacts in the finish area after the women’s downhill race on Sunday at the alpine ski World Championships in Are, Sweden. Lindsey Vonn speeds down the course during the women’s downhill race on Sunday at the alpine ski World Championships in Are, Sweden. The place: the bottom of a training hill in Vail, Colorado, waiting for Lindsey Vonn to finish a few runs to test her surgically repaired knee just before the 2014 Sochi Games – an Olympics she ended up missing because of that troublesome knee. If you’ve waited in the bitter cold, pressed against the fencing waiting for an interview, or, as a fan, planned your entire day around seeing Vonn – even if for just that magical split second when she sped by you on the mountain — then you were not alone. You were lucky. Freezing, perhaps. But lucky. In an unscientific survey of fans, friends, family members and rivals to uncover the perfect word that best captured her, each person answered with a variation of three – a podium of sorts to describe the most winningest female World Cup skier ever. 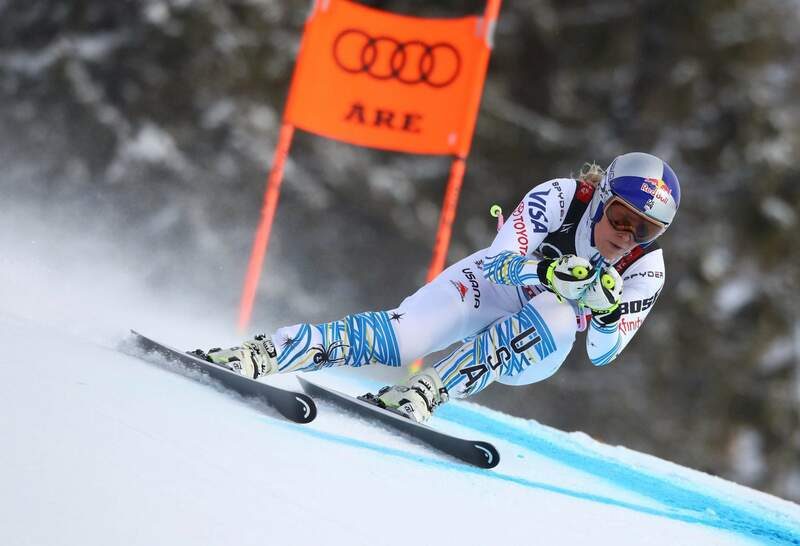 At 34 and with her knees simply refusing to cooperate anymore, the 2010 downhill Olympic champion and the four-time overall World Cup title winner pushed out of the start gate for a final time at the world championships Sunday in Sweden. It was vintage Vonn as she roared through the downhill course to earn one last podium spot – a bronze medal that felt like pure gold. Before exiting the stage, she waved to the crowd and took one final bow. The first copter ride was after a downhill training crash before the 2006 Turin Games. Two days later, and with a bruised hip, she finished eighth in the downhill. The other, February 2013 at the world championships in Austria when she tore her ACL and MCL. It took her months to get back – she re-injured the knee and it cost her the shot at defending her downhill title at the Sochi Games – but return she did. 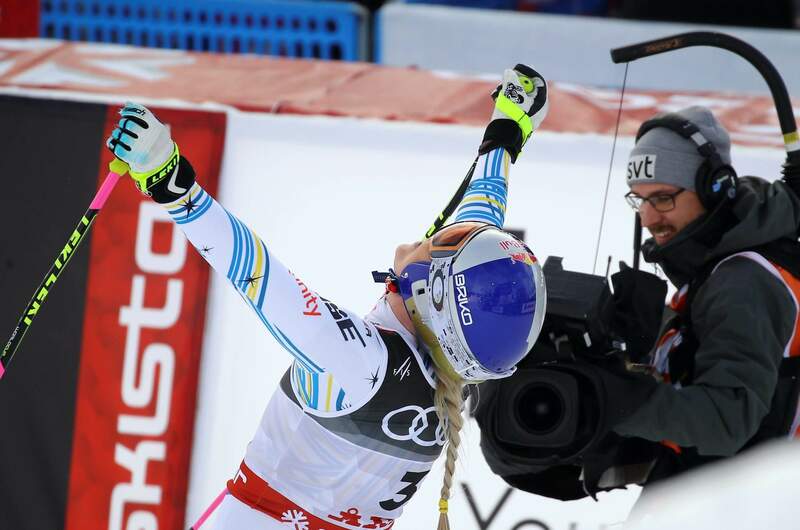 She’d win 82 World Cup races – four behind the all-time mark held by Sweden’s Ingemar Stenmark, who showed up Sunday at her request – and drew comparisons to compatriot Bode Miller, who was revered for his high-risk approach. Word of caution – don’t tell Vonn she can’t do something. It fires her up. Vonn was among the first women to regularly use men’s downhill skis, which were longer and tougher to control but generated more power. Given her renowned workout routines – upside-down sit-ups anyone? – she didn’t have a problem. She also wanted to race against the men, something that never came to fruition. All part of her plan to raise the profile of ski racing – much like Serena Williams did for tennis.